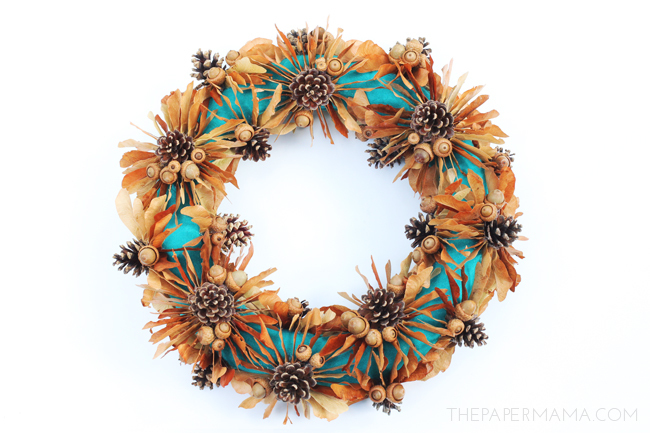 It’s a new season, so that means it’s time for a new wreath (I love wreaths… and Fall). I’d like to introduce all of you to the newest member of our wreath family: the Maple Tree Seed Fall Wreath DIY. 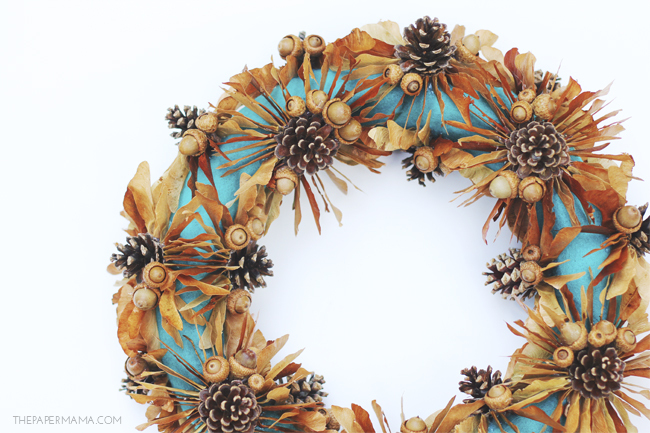 Made from maple tree seeds, pinecones, and acorns. All of these items were found on a walk with my kiddo. Whenever we walk she picks up these goodies and they ALWAYS end up in my purse… Not anymore! We made something out of our finds and I shared this project on the Better Homes and Gardens blog. I do believe this is my favorite wreath creation so far. If YOU would like to check out how I made this wreath, head on over to the Better Homes and Gardens blog. The cost to make this is under $8. Yay! Who else is as excited as I am for Fall? P.S. I’m a paid contributor on the Better Homes and Gardens Style Spotter Blog. 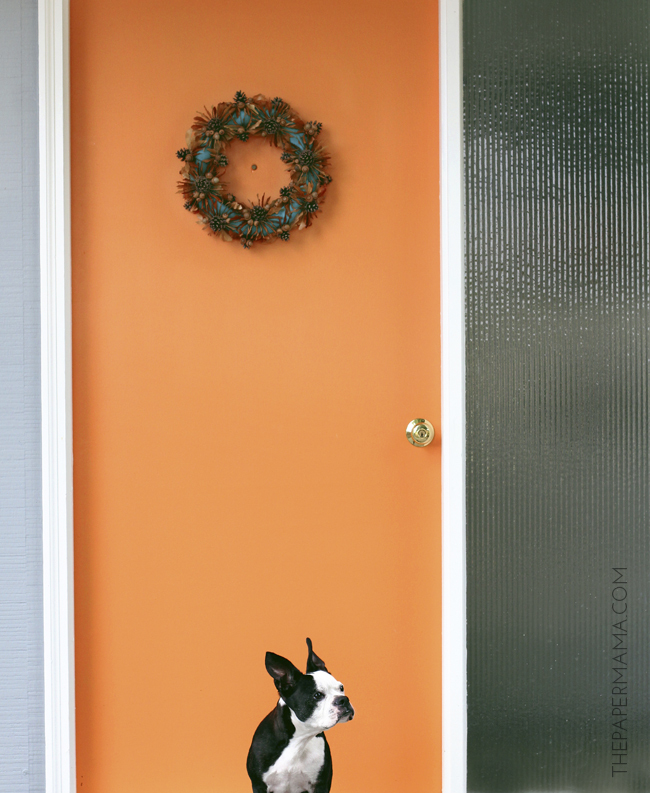 Gorgeous wreath – and I love the orange door (especially with that blue in the wreath). I love Fall…but am still waiting for it to arrive in hot & steamy Florida! Oh man! What is Fall like in Florida? Such a pretty wreath for Fall! It looks great up against that orange door! I REALLY want an orange door now.